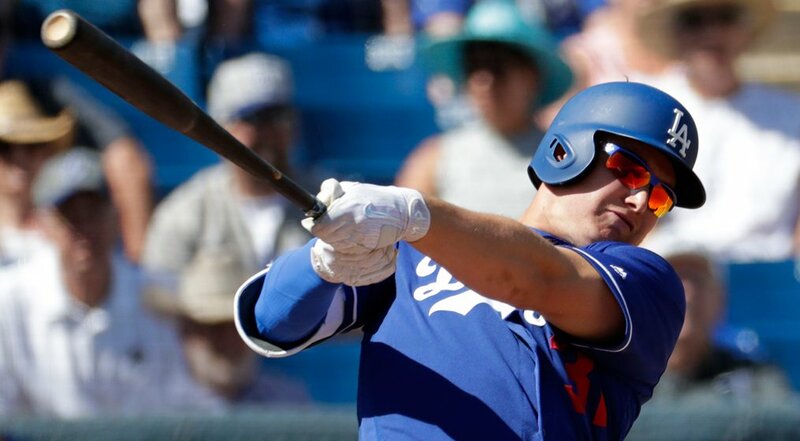 "I've been working on my swing, my path to the ball, and it's encouraging to see it pay off in the game," said Pederson, who leads the club with three home runs. "His approach is really consistent, he's not trying to pull the ball too much," manager Dave Roberts said of Pederson. "When he's going hard up the middle, like the line drive to the shortstop [in the third inning], we know he's in a good place." This Day in Dodger History: In 1943 he Brooklyn Dodgers received soon-to-be Hall of Fame centerfielder Lloyd "Little Poison" Waner from the Phillies in exchange for veteran infielder Babe Dahlgren. Happy Birthday, Rube Yarrison, Arky Vaughan, Terry Mulholland, Koyie Hill & Willy Aybar! It's now official. Ten regular season Dodger games will be televised on KTLA5, per Ken Gurnick at MLB.com. The Dodgers unveiled another game giveaway. See it on the right. 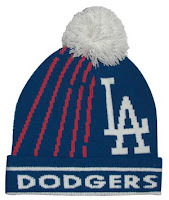 It is a Dodgers knit cap, and it will be give out to fans on Tuesday, April 18th against the Rockies. Go here for a complete promotional schedule. Via Doug Padilla at ESPN; "For Adrian Gonzalez, playing for Mexico is like coming home." Per Eric Stephen at True Blue LA; "Ross Stripling ready for any role with Dodgers."